The Porta Burgi (Town Gate) was probably built in the 13th century when San Gemini became an important military outpost in the city of Narni’s territory along the borders with Todi and the Duchy of Spoleto. In this period, the city went through a series of expansions. Once it was built, it became the main entrance into town along the Via Flaminia from the direction of Rome. The lower section, including the arch and the sides of the gates, is original. Above the arch, there is a coat of arms in stone of the Santacroce family from the 18th century. Further up, is a closed window or niche from a period yet to be determined. The top section, which includes the parapet to the terrace, was probably added at the beginning of the 20th century. The fieldwork on Porta Burgi in 2011 involved the cleaning, pointing, and consolidation of the stone masonry on the outer façade of the gate. In 2012, the underside of the arch was cleaned and old repairs that had been made with portland cement were removed. Loose stone fragments were pinned with stainless steel bolts. 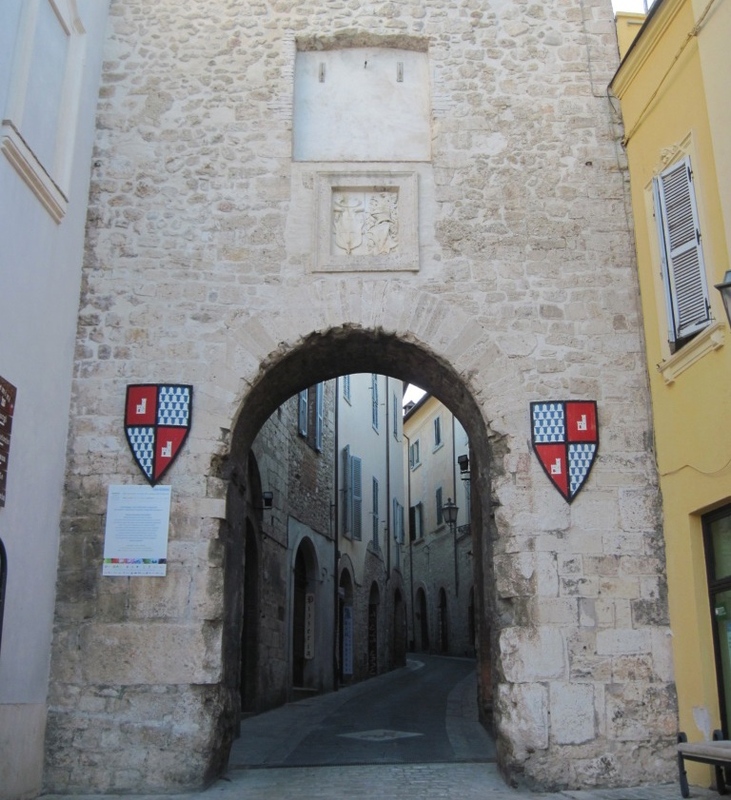 In the summer of 2013, the restoration of the gate was completed by finishing the consolidation of the vuasuars of the arch, pointing all the stone work, cleaning the rear face of the gate and finishing some work along the base.